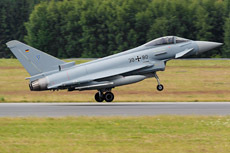 Jagdgeschwader 73 was a unit of the West German Air Force before the unit became a military symbol of the reunification of Germany in 1991. 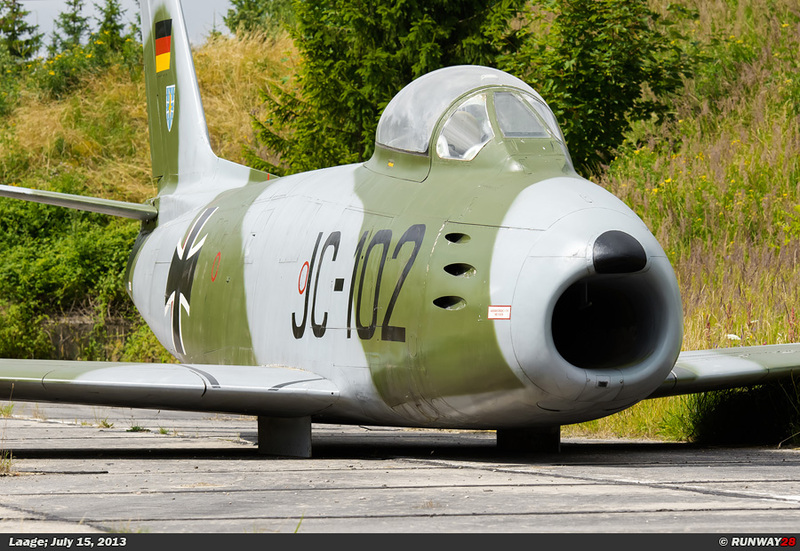 JG-73 was the first unit in Germany which was equipped with both Eastern and Western aircraft. 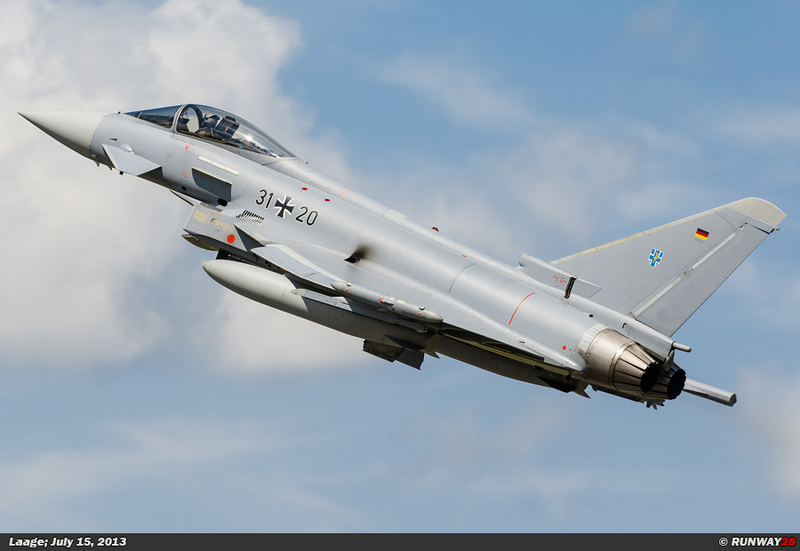 In 1997, JG-73 received the name Steinhoff to honor the famous Ace of the war. Jagdgeschwader 73 "Steinhoff" (JG-73) is now stationed at the North German airbase Rostock-Laage. 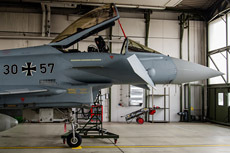 Laage is located at a distance of approximately 30 kilometers south of the city of Rostock in the far north of Germany. 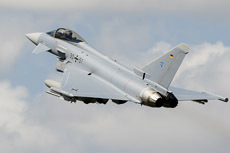 JG-73 was in 2004 the first unit in Germany which started to fly the Eurofighter. 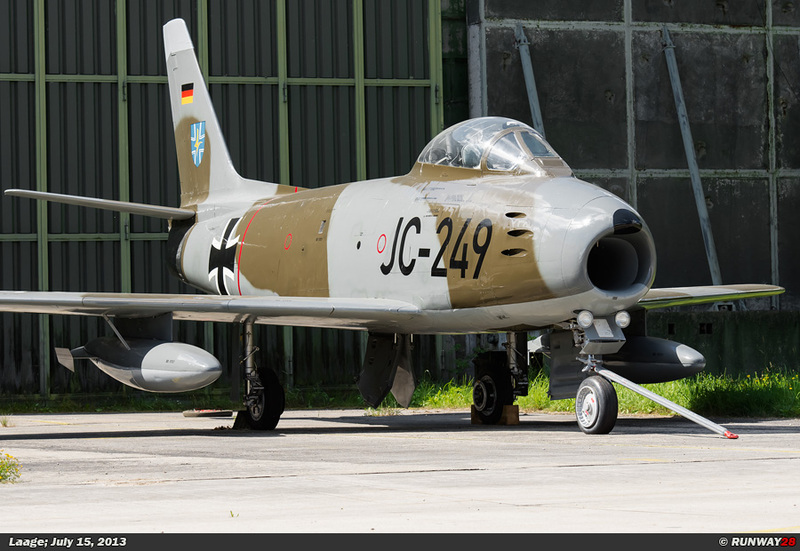 JG-73 was established in December 1959 at the West German airbase Oldenburg where the unit was equipped with the Canadair CL-13B Sabre Mk6. 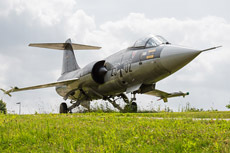 The Sabre was at that time a modern fighter jet and was one of the first aircraft which could break the sound barrier. 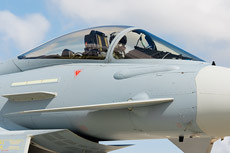 It was also the first fighter which was equipped with an arrow shaped wing. 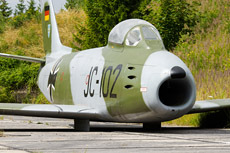 The unit would not stay long at Oldenburg, because JG-73 was transferred to Pferdsfeld Air Base in the province Rheinland-Pfalz in 1961. 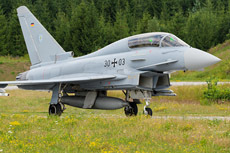 The German Luftwaffe was quickly restructured and JG-73 was renumbered to Jagdbombergeschwader 42 (JBG-42) in 1964. 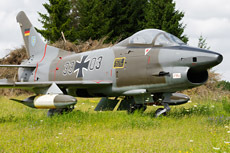 The unit changed at that time the Sabre fighters for the Italian Fiat G91. 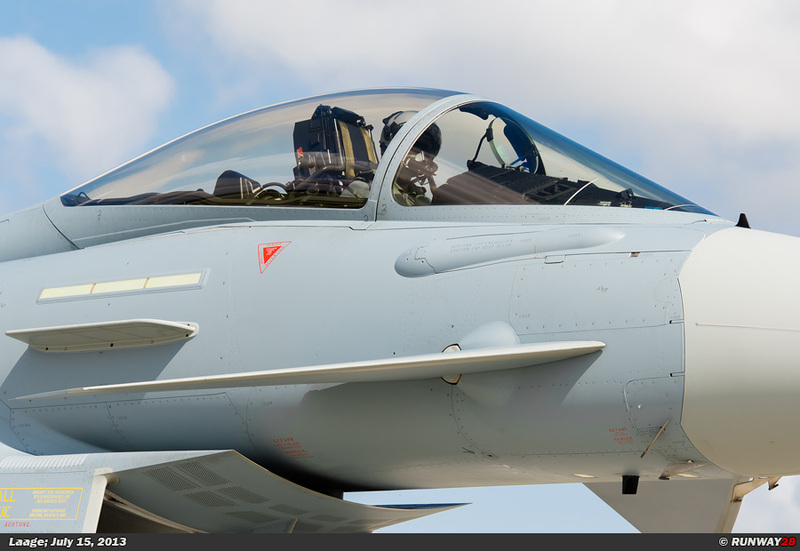 The Fiat G91 is an aircraft which was built for the close air support role. 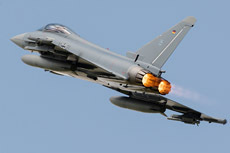 The aircraft was small and could be equipped with light weapons such as light bombs and rocket pods. 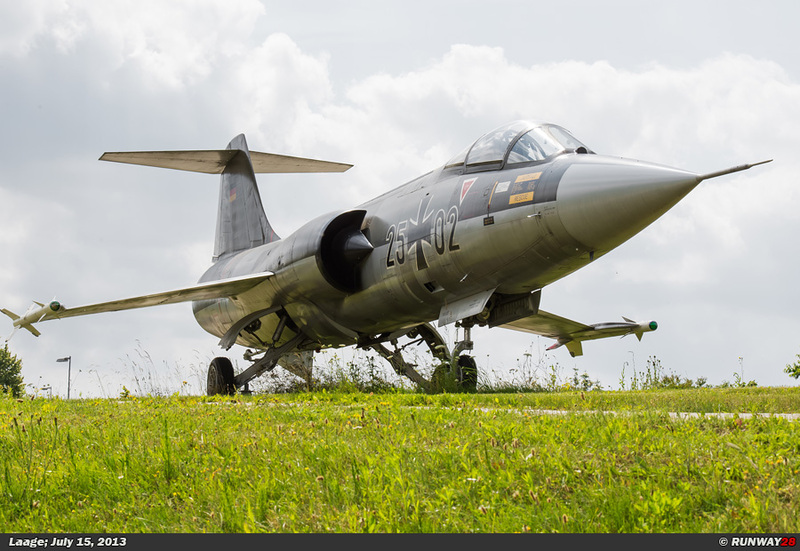 In 1967, the name of the unit was renumbered to Leichtes Kampfgeschwader 42 (LK-42). 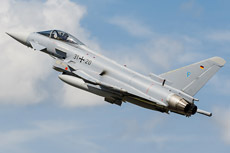 The unit continued to fly with the Fiat G91 until 1975. 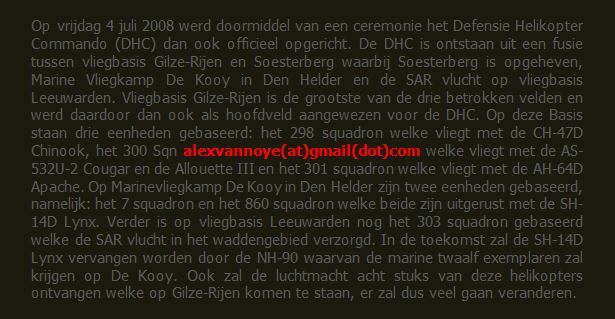 From that year, LK-42 was renamed to Jagdbomberge- schwader 35 (JBG-35). 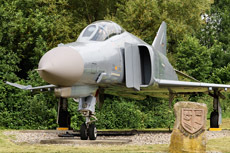 The new unit would exchange the Fiat G91 for the much heavier McDonnell Douglas F-4F Phantom II from that moment. The Phantom was used at this squadron in the role of fighter-bomber. 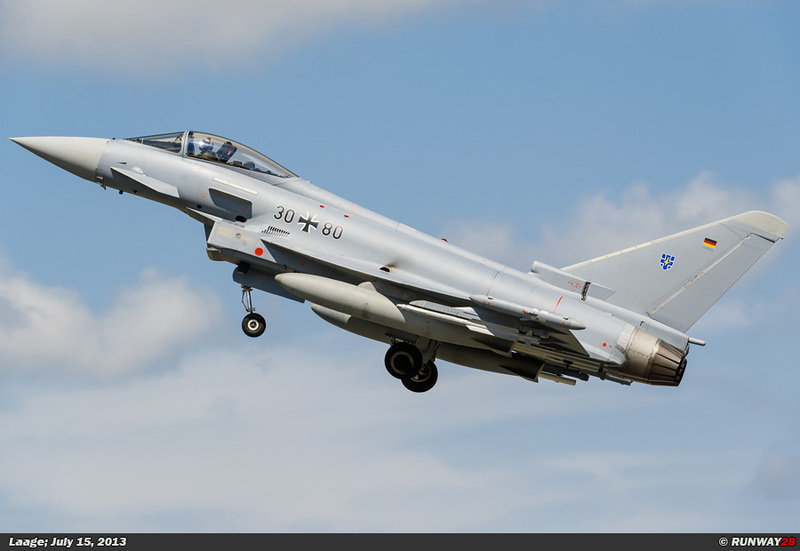 in Brandenburg, and was equipped with the MiG-29 “Fulcrum”. The newly formed unit was called Jagdgeschwader 73 (JG-73) on May 31, 1993, and was from that moment stationed at the former East German airbase Laage. 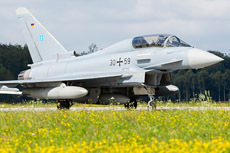 JG-73 at Laage consisted of two Staffels since October 1, 1994. 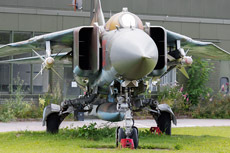 The first Staffel of the unit continued to fly the Phantom and the second Staffel received the MiG-29. The MiGs of the unit were at that time the first aircraft of the former Warsaw Pact which became part of the NATO. 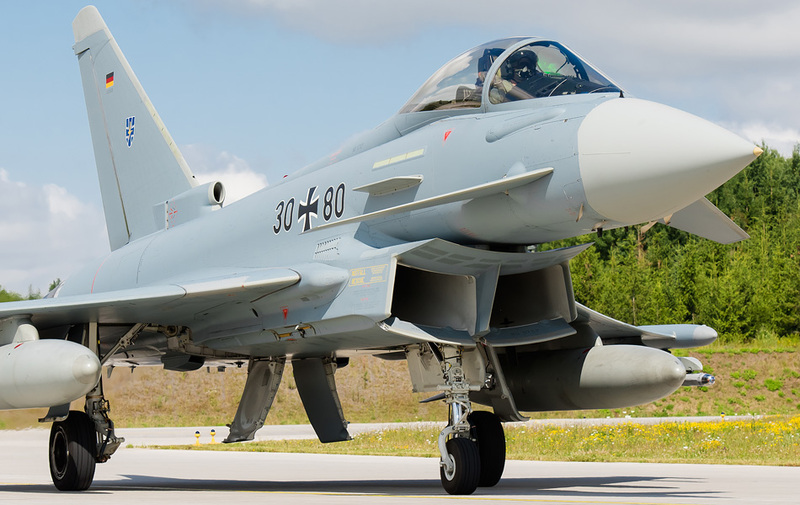 The western pilots liked this fantastic development, because especially the Americans could now practice against real MiGs for the first time. 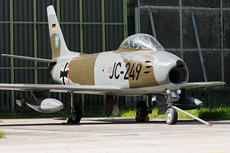 JG-73 was during this period very often on detachment in the United States. Additionally, many American units of the USAF flew to Germany to practice against the MiG-29s. 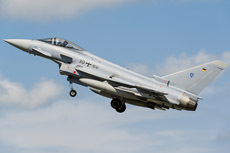 The MiG-29s were eventually retired from service in Germany in April 2002. 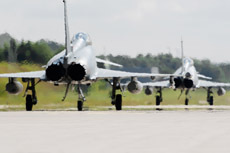 The first former German MiG-29s landed at Malbork in Poland on August 4, 2004. 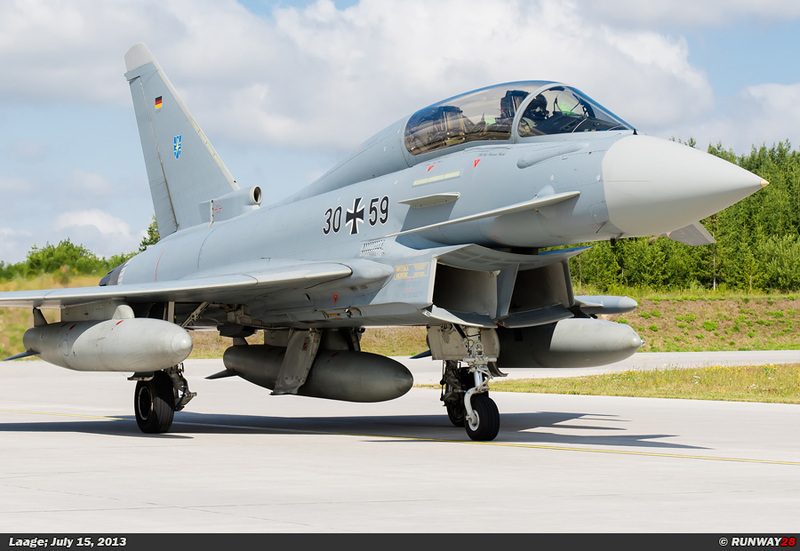 The name of “Steinhoff” was coupled officially to the unit from September 1997. 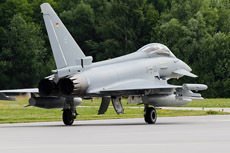 The unit is named after the former Chief of Staff of the German Air Force General Johannes Steinhoff. 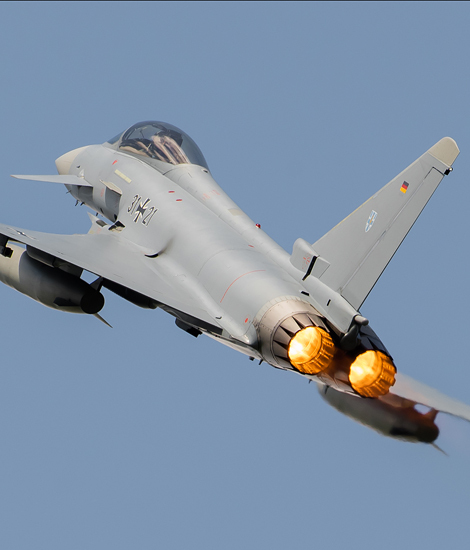 Johannes “Macky” Steinhoff lived from September 15, 1913, until February 21, 1994, and was a German Luftwaffe Ace during the Second World War. 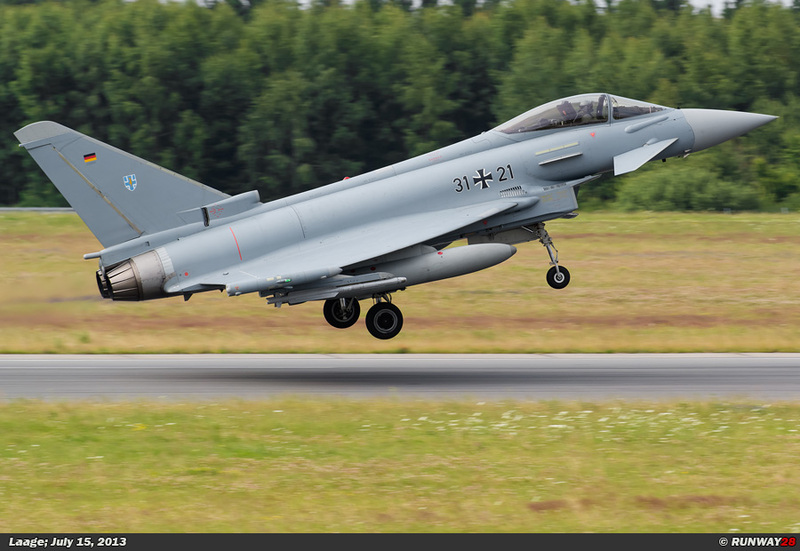 Steinhoff was one of the few pilots of the Luftwaffe which has flown for the German Luftwaffe during the entire war. 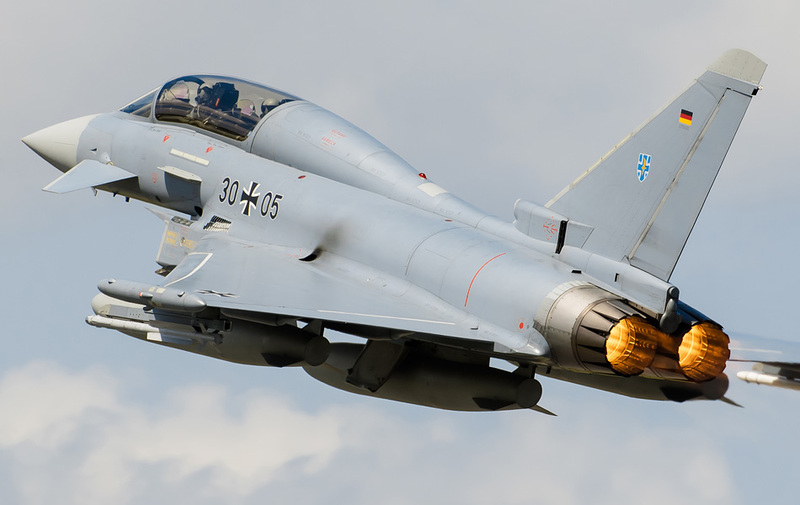 He was also one of the highest scoring pilots with 176 aerial victories on his name. 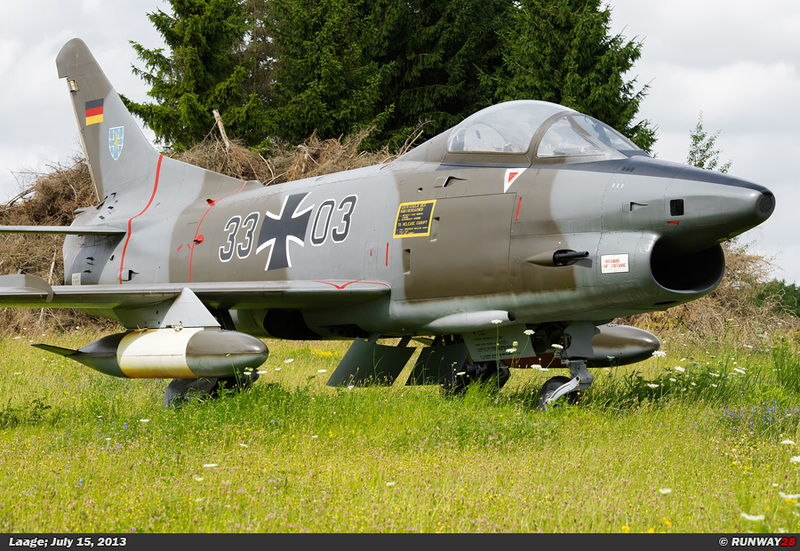 Steinhoff was one of the first pilots which flew with the Me-262 jet and he received awards such as the Oak Leaves and Swords to the Knight's Cross and the famous Iron Cross. 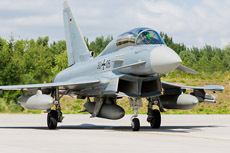 He later became a senior officer of the West German Air Force and commander of the NATO. 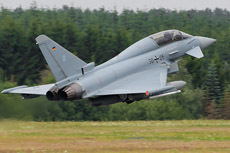 Steinhoff played an important role in the reconstruction of the post-war West German Luftwaffe. 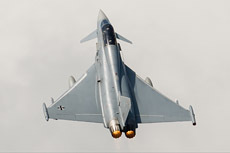 He stepped forward as the leader of the Luftwaffe staff in 1971 and became Chairman of the Military Committee of the NATO. When Steinhoff retired, he wrote many books about his experiences in the German military aviation during the war and the experiences of the German people at that time. 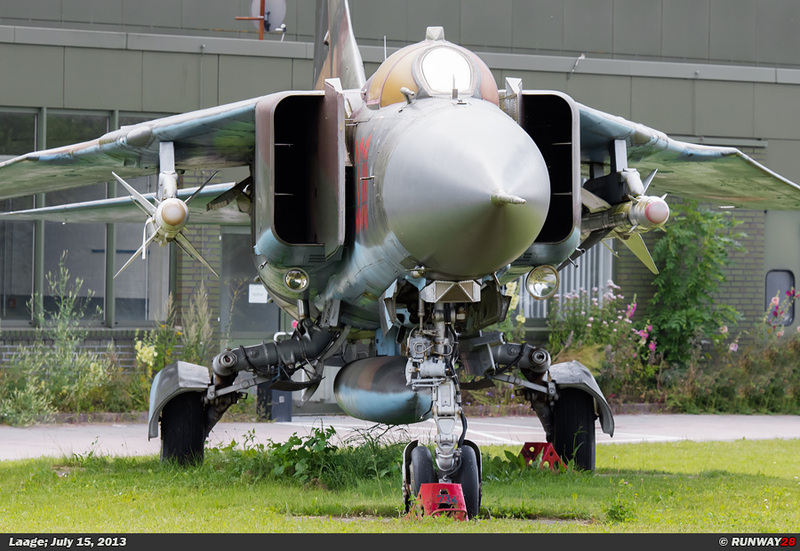 On February 21, 1994, Steinhoff died from the effects of a heart attack at an age of 80 years. 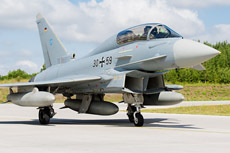 His name was attached to JG-73 at Laage to honor his contribution to the German Luftwaffe in September 1997. 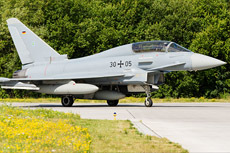 JG-73 at Laage was the first German unit which received the new European EF2000 Eurofighter in 2004. 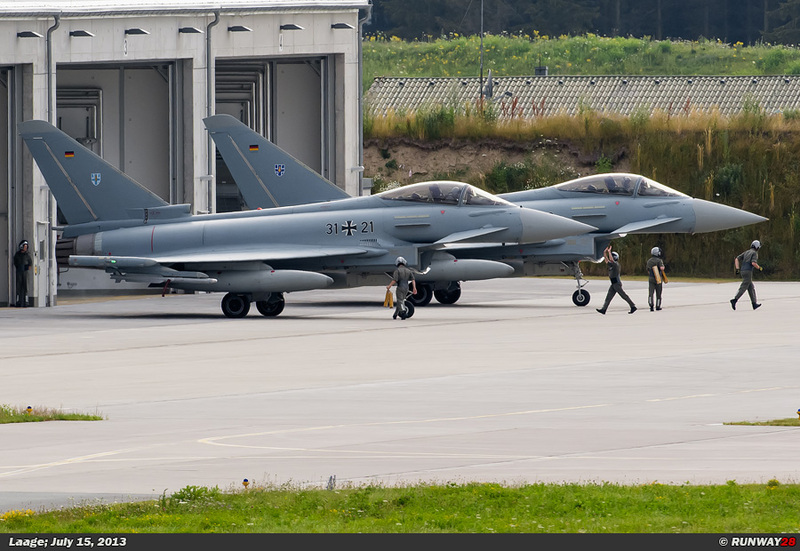 The Eurofighter took over the duties of the Phantom in Germany from that moment. 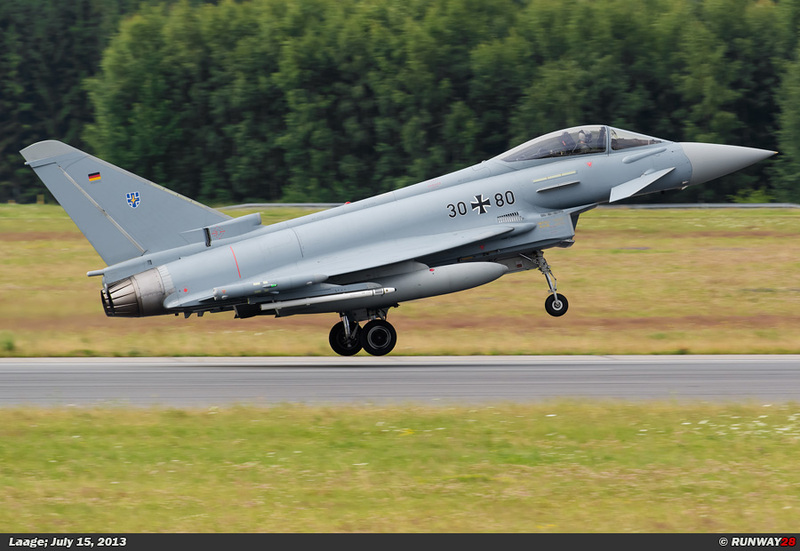 The last Phantoms in Germany were retired from service in June this year at Wittmund. 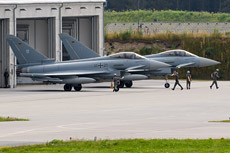 The main mission of JG-73 is like that of JG-71 and JG-74 which is guarding the German airspace. The unit has the task to protect Germany against unwanted intruders; this task is done by aircraft which are 24 hours a day, 365 days a year standby. Also at Laage are always 2 fully armed Eurofighters on QRA (Quick Reaction Alert) to perform this non-stop task. 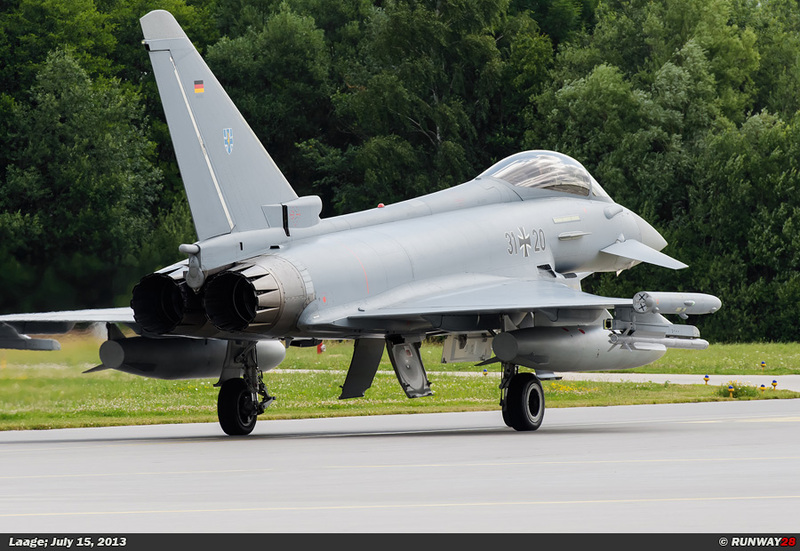 The second important task of JG-73 is the training of new pilots on the Eurofighter. 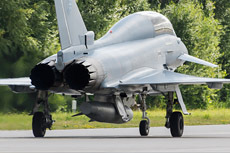 The pilots are trained in the United States during their basic fighter training. 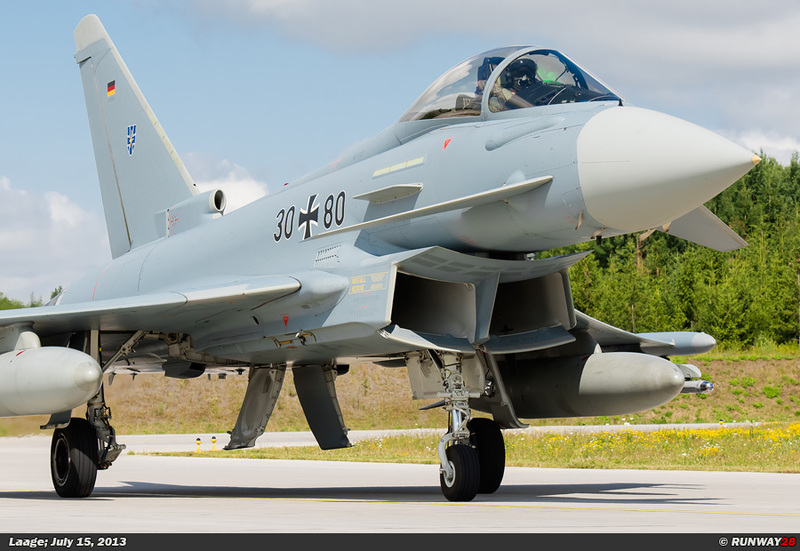 The pilots will come to Laage if they are assigned to the Eurofighter after the completion of this basic training. 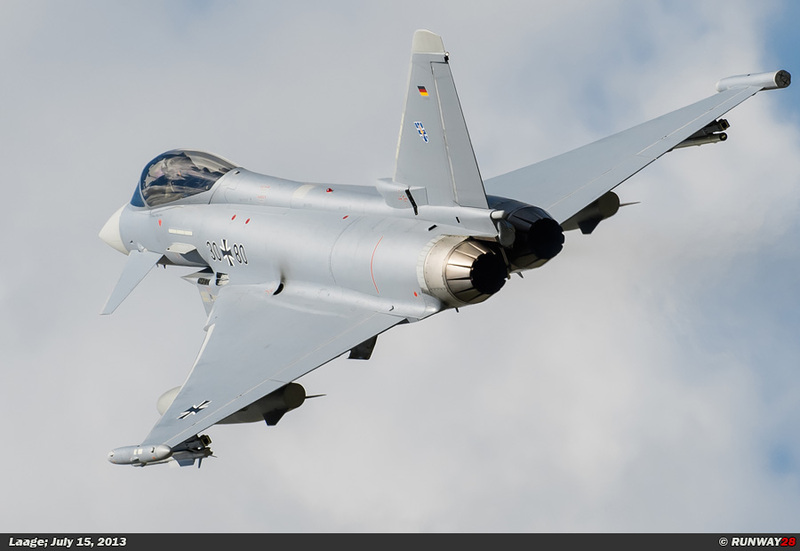 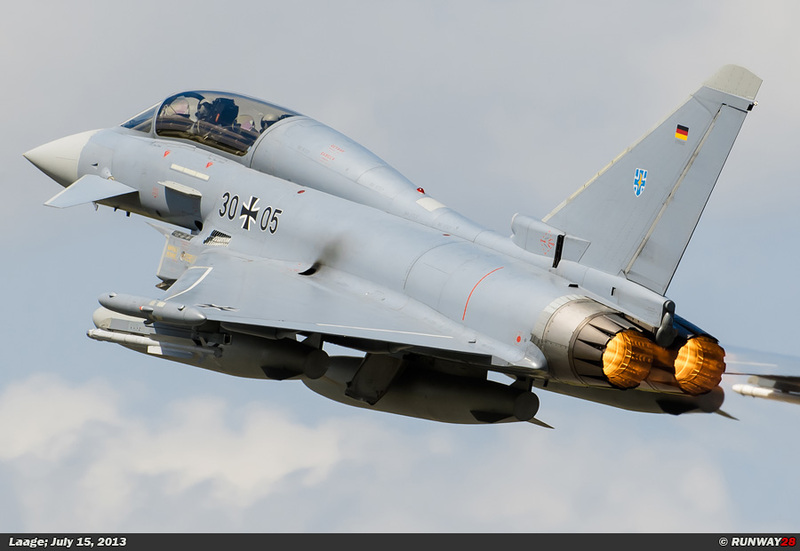 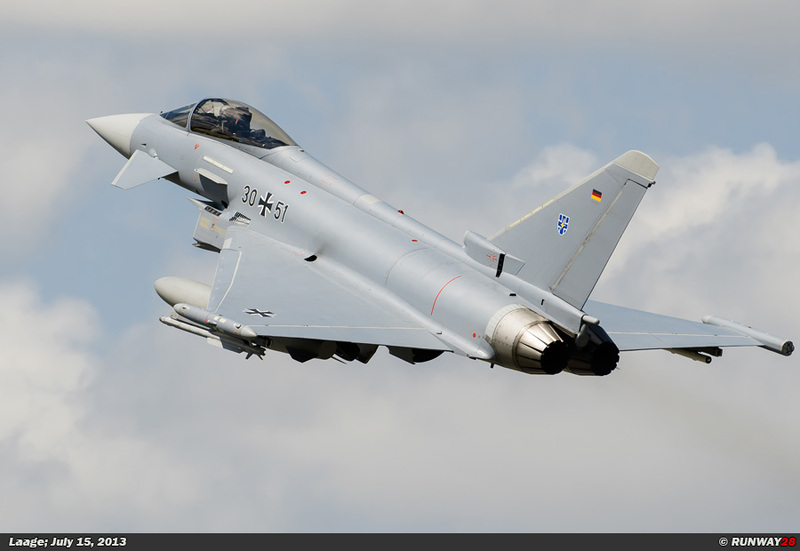 All pilots who will fly the Eurofighter in Germany are trained in Laage near Rostock. 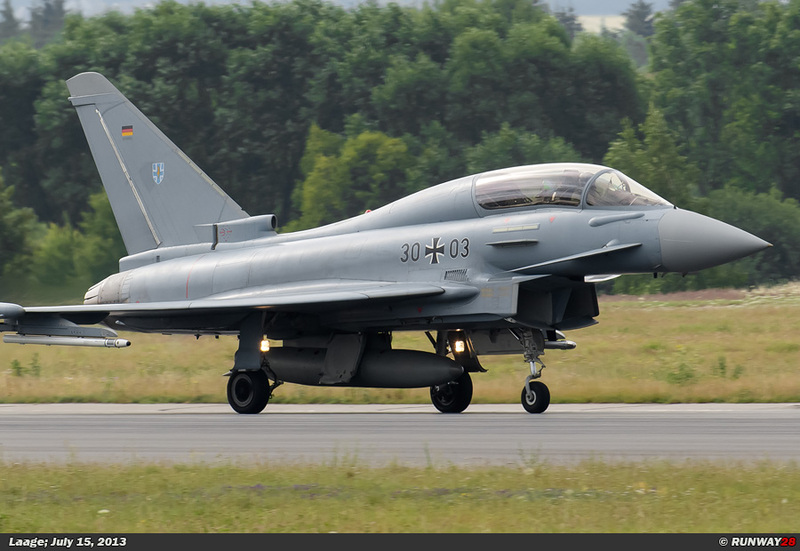 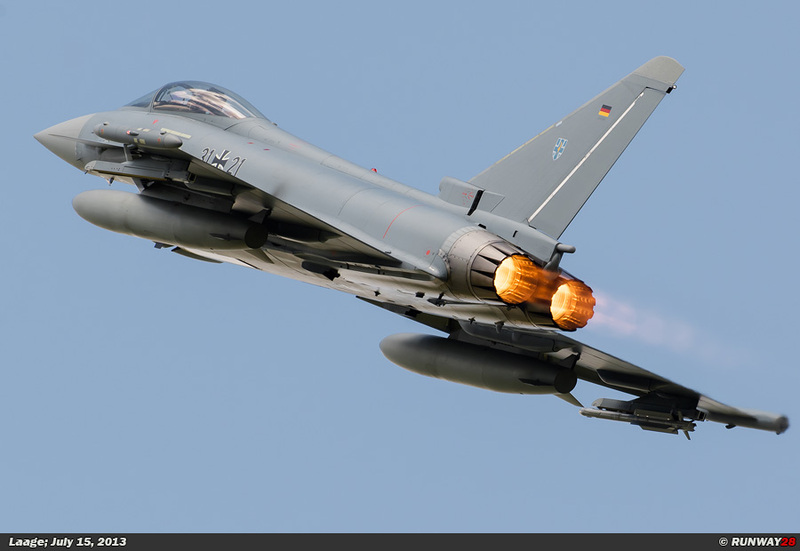 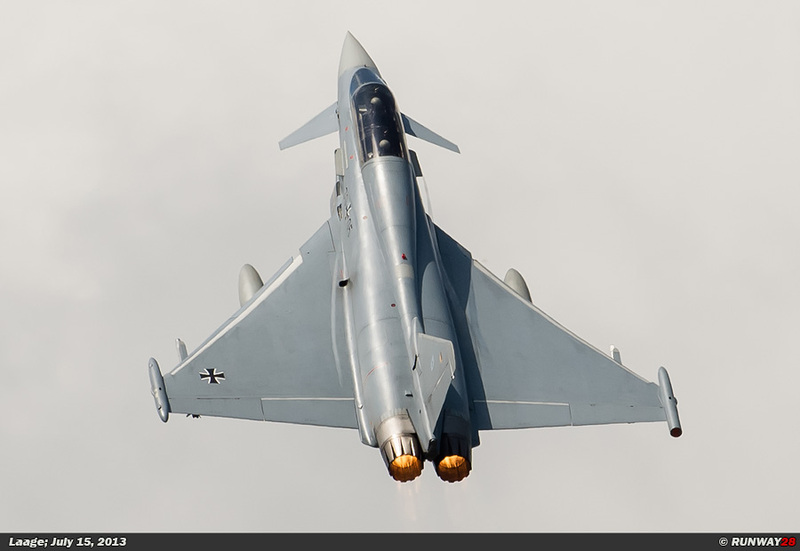 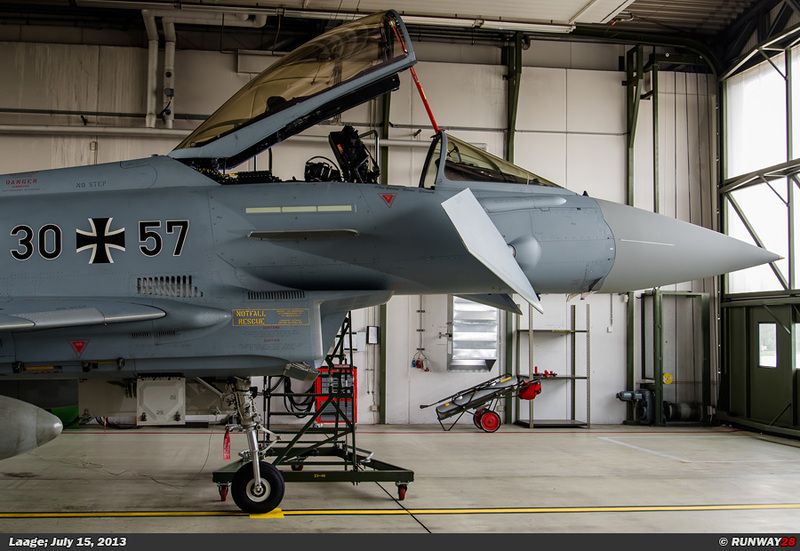 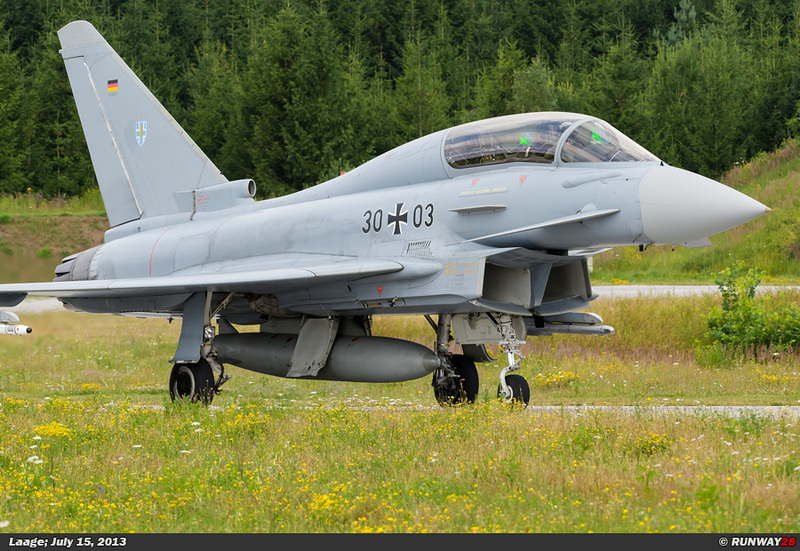 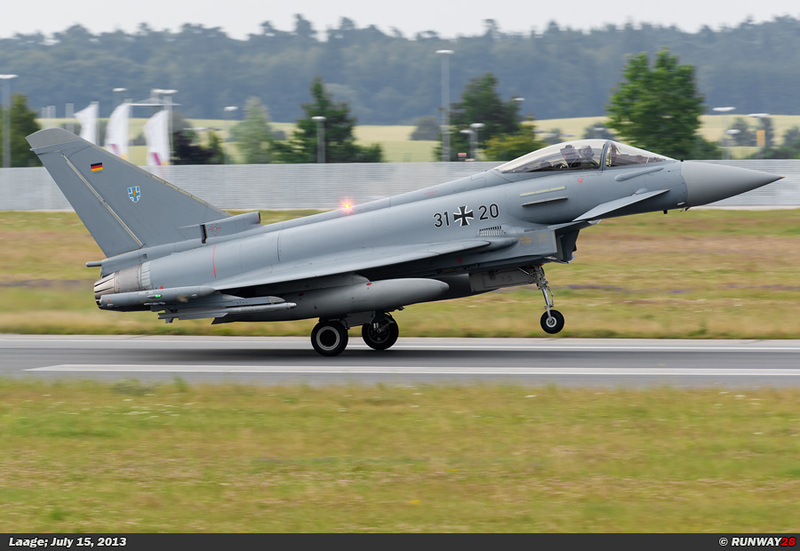 They go to the Mecklenburg-Vorpommern depot in Rostock for their basic training on the Eurofighter. 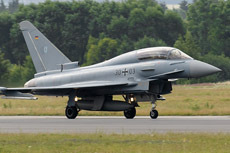 Also, the ground crew is trained at Laage in the handling of the Eurofighter. 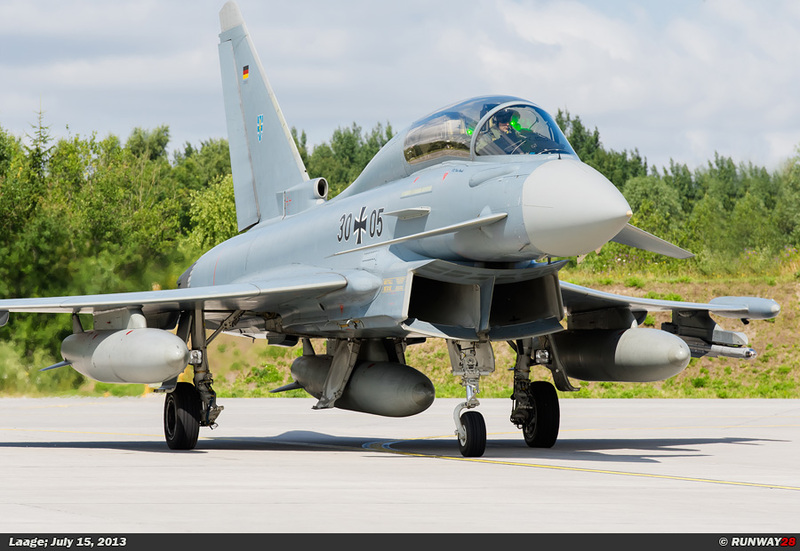 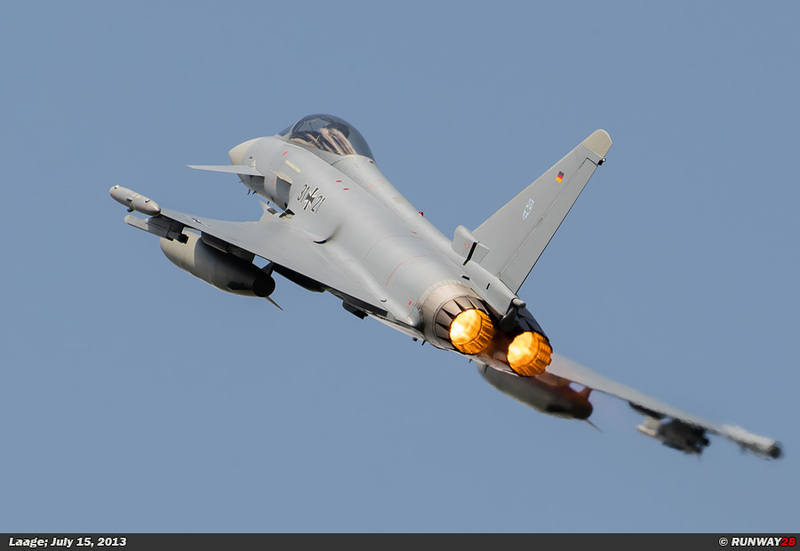 Besides the German pilots also the Austrian Eurofighter pilots are trained in the context of cooperation at Laage. 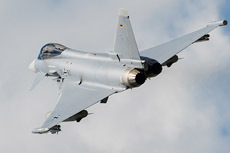 Laage has therefore become a comprehensive training center in Europe when it comes to training at the Eurofighter. 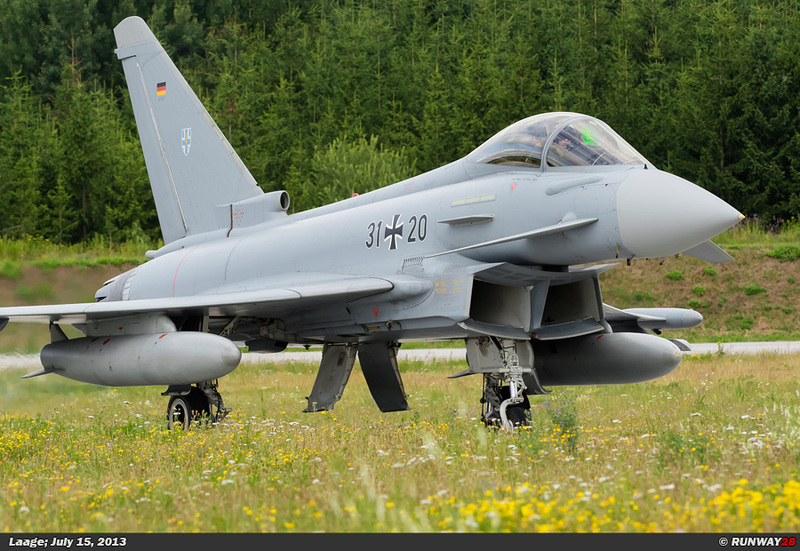 There are three modern flight simulators available for the training of Eurofighter pilots at Laage. 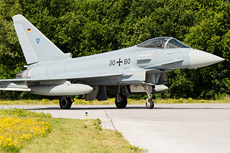 The second Staffel of JG-73 is the Staffel where the pilots perform their practical part of the training. 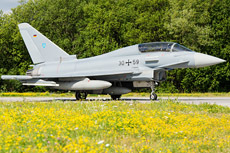 Laage is therefore now a modern air base and Eurofighter learning center in Germany.